Want to reface your kitchen cabinets? Smart decision. 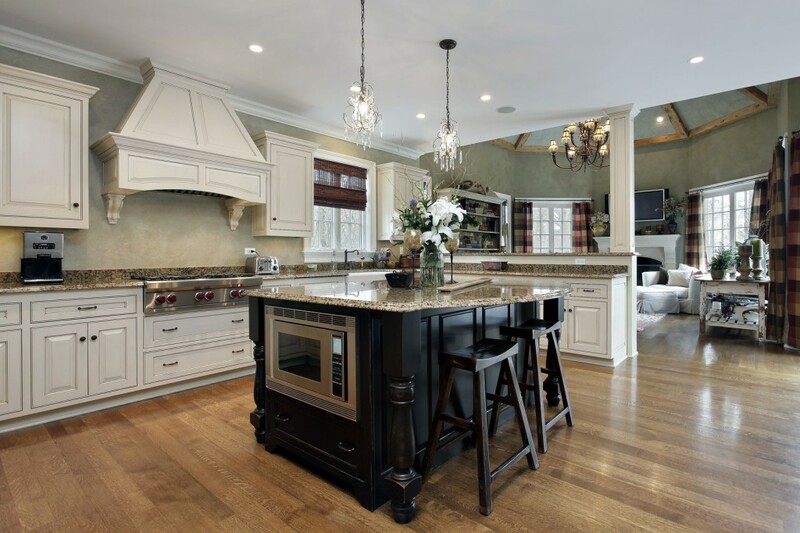 Kitchen refacing is more cost effective and takes less time than a full remodel. Here are options and costs. Custom cabinet refacing by The Cabinet Restoration Company in Manchester, Md. Refacing your kitchen cabinets includes covering the exposed frames with a thin veneer of real wood or plastic laminate. Doors and drawer fronts are replaced to match or complement the new veneer. New hinges, knobs, pulls, and molding complete the transformation. • Costs about half as much as replacing cabinets. • Takes less time (a week or less!) and money. • It's less hassle than tearing out cabinets. • You can still use your kitchen while refacing. • It's a green kitchen remodeling solution because you're not adding to the landfill. • Refacing won't fix a bad kitchen design. • You might be tempted to spend more on exotic veneer and hardware (saving you less). • Rigid thermofoil (RTF) doors, which feature a durable plastic coating over fiberboard, are an affordable alternative to wood or laminate doors. • Plastic laminates come in hundreds of colors and patterns, are durable and moisture-resistant, and are reasonably priced. You can pick matching or contrasting laminates for your doors and drawer fronts. • Real wood veneers include many standard species, such as oak, cherry, and maple, and you also can choose from an array of stain colors. Wood veneers are the most expensive option. Wood must be carefully sealed to protect against moisture. A professional cabinet refacing for a typical 10-by-12-foot kitchen starts at around $1,000-$3,000 for laminate. Expect to pay $2,500-$6,000 for real wood veneer. Costs can rise to $7,000-$9,000 or more for a large project with high-quality wood veneer. Finishing the project with new hardware (pulls, knobs, hinges) runs $2-$4 per piece, up to $20-$50 each for high-end hardware. In comparison, completely replacing old kitchen cabinets with new cabinets starts at $4,000-$5,000 and up for stock cabinets; $8,000-$10,000 for semi-custom cabinets; $16,000-$20,000 and up for custom-made cabinetry.